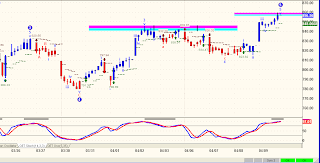 I am counting NNVC as being in a very deep retracement of a Wave 1 impulsive wave. 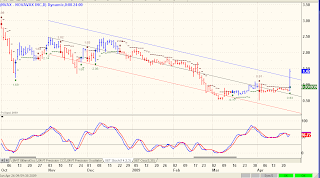 Wave 1 started on April 6th at $0.512 and peaked on April 27th at $1.29. A typical retracement of 75% of Wave 1 would take prices down to the $0.714 level. Today's low so far is $0.73. 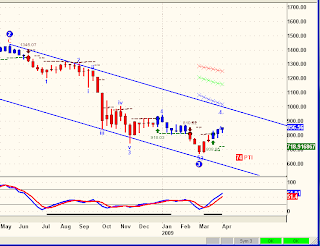 Wave 2's can retrace up to but not exceed 100% of Wave 1. I'm counting Wave 1 as being $0.77, so under these guidelines, Wave 3 should take prices between $1.15 and $2.70 higher from the end of Wave 2. 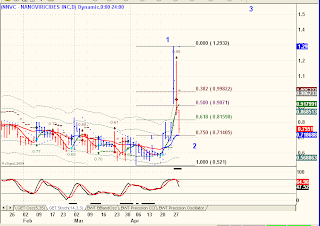 If Wave 2 ended today at $0.73, then under these guidelines, Wave 3 will carry NNVC to between $1.88 and $3.43. ......which itself will only be Wave 1 of an even larger 5 wave sequence up. It is somewhere in the midst of these sequences up that news will come out, explaining the fundamentals underlying the entire advance. That, my friends, is when we take our millions and remember this post. Please remember why we are here. I took a heated discussion attached to the NNVC - CEO Interview blog, down. It was an all or nothing proposition, I couldn't just remove the offensive Comments, so we lost some valuable insights to accommodate the elimination of some inappropriate accusations and name-calling. Please, lets not go there again. PS: No comments to this post either, nothing else need be said. Here is my main trading chart for intra-day S&P trading. Take a close look, I'll talk about it below. First of all, note that it is a 13-minute chart. This started out as a compromise between 10 and 15 minute charts, both of which worked well and when I couldn't decide on which one to follow, I comprised with the fibonacci number about mid-way between the two. Happenstance, maybe, but it works. Next, look at all those cross-currents evidenced by sets of parallel trend channels. That's what all this choppy trading has done recently, generated a lot of sideways action contained between various sets of trend channels. A lot of resistance both above and below current levels, which ever one gives first, that's the one that takes us out of these doldrums. 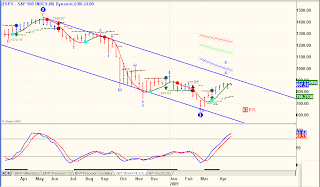 Although the structure of the EW pattern allows for another high to complete five waves up, I'm not betting on it. A failure seems just as likely to me. Finally, the FBS is oversold and looks to be turning up. 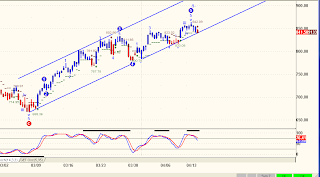 This with the wave pattern suggests a rally pending. 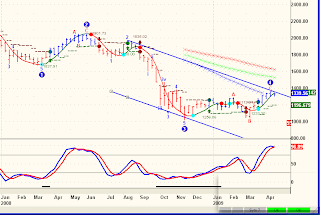 But its a weak pattern and the FBS could just as easily go into a trend mode, a down trend mode. Conclusion: a market like this will chop a trader to pieces. It can't go sideways forever. Well, I guess it can, but not likely. Looking for the next break, either up or down, to put on size. This is a Weekly chart. Prices gapped up over a one year downward sloping regression channel and have come back down to kiss the channel good-bye, before exploding up. Classic. Newly posted on the iHub NNVC board. Highlights of Today's CEO Interview with Ludlow Capital. 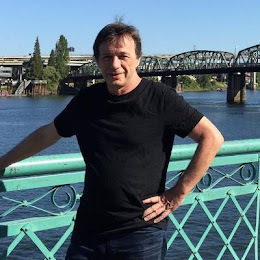 Ludlow Capital Group today posted an 18 1/2 minute interview with NanoViricides CEO Eugene Seymour that was conducted by telephone two days ago on the 25th. The interview is very interesting relative to the current Swine Flu outbreak, and contains some new information about the company's progress toward licensing of it's Flu and HIV drugs. I have gone through the 18 minute 30 second interview and summarized what I believe to be several important passages, which I present below. 00:00 -- Intros and background of flu viruses. How viruses enter cells and replicate. 07:00 -- Traditional ways to deal with viral illness 1) with vaccines, and 2) with Tamiflu and similar drugs which are typically administered after symptoms develop and attempt to interfere with viral replication. 09:40 NanoViricides presented Flu-Cide data to a major pharma two months ago, demonstrating "excellent results . . . so much better than Tamiflu". The major pharma expressed an interest in moving forward with Flu-Cide. 11:20 -- How NanoViricides' drugs attack viruses, and why they are broad spectrum. 13:15 -- NanoViricides has been spending it's time on HIV and is "in discussions with multiple pharma companies now about our HIV drug . . . we feel that we can achieve what is called a 'functional cure' [for HIV]". CEO Seymour explained his use of the term "functional cure" and described how it is achieved. 15:10 -- Dr. Seymour gave his opinion on the current Swine Flu outbreak, saying "this could be it [could become a pandemic] . . . showing all the signs of 1917 [the beginnings of the Spanish Flu pandemic] . . . it's a perfect storm". CEO Seymour explained what disease characteristics are most conducive to the creation and sustainability of a pandemic. 16:40 -- "We're rushing as fast as we can to build the manufacturing capability to produce a large amount of our drug . . . when you take it it eradicates the virus in the body". Apologies to Pink Floyd, but it just seems to fit. 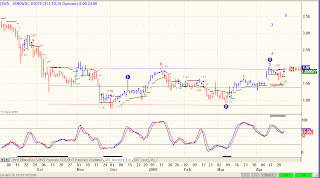 This week the market is putting another bar in the Weekly analysis which has been guiding this blog since soon after the Wave 2 Top shown, circa late summer of 2008. 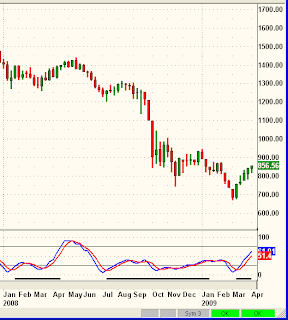 Each new bar has brought the weekly stochastic just so much closer to its pending SELL SIGNAL. It's not a matter so much of if anymore, it's a matter of when. Now, the fundamental backdrop of a deadly global flu pandemic is filling the "How & Why?" pieces of the puzzle. Doesn't look like prices will reach the upper channel, but that possibility is out there, just in case. Looks to me like one, maybe two bars to go and everything comes together in one heck of a global panic. Each of the five Swine flu picks are up strongly today, with all but one, NNVC, now below opening prices. The crisis is not over, in fact it is just beginning, so all five stocks are BUYS at current levels. Why is NNVC holding its gains and adding to them? Congratulations to all who have had the confidence and belief in this company to hang in for today's gains, which if I am right, are only the beginning of an exceptional run.....the upside of NanoViricides is almost immeasurable. A functional cure for just about any disease that is viral-based. Let your imaginations envelop and run with that one. WEST HAVEN, Conn.--(BUSINESS WIRE)--NanoViricides, Inc. (OTC BB: NNVC.OB) (the "Company"), announced that it is developing FluCide(™), its flagship anti-influenza drug candidate, to work against all influenza types and subtypes. FluCide has been shown to be effective against both common influenza subtype H1N1, as well as two different variants of bird flu subtype H5N1. The Company has previously announced excellent results in both animal studies and cell culture studies against widely different influenza subtypes and strains. If these results are confirmed in further animal and human studies, then FluCide would likely be considered the best ever drug effective against all influenzas. The Company is communicating its capabilities to various agencies involved in the current epidemic response. The current swine flu outbreak is significant in that the H1N1 virus causing it is novel (http://www.cidrap.umn.edu/cidrap/content/influenza/panflu/news/apr2109swine.html). The US Department of Homeland Security has declared a Swine Flu Emergency yesterday. The WHO has said that the outbreak is an emergency of international concern (http://www.upi.com/Health_News/2009/04/26/DHS-declares-swine-flu-emergency/UPI-53711240725694/). The pig is known to be a transitional species for influenza viruses. That means re-assortment (i.e. mixing) of genes from bird flu, human flu, and swine flu viruses can take place in pigs. This can lead to more lethal, drug resistant novel strains to emerge from different existing ones. "Nanoviricides(™) have clear advantages over antibodies and vaccines as antiviral strategies," said Dr. Diwan, President of NanoViricides. Antibodies are relatively specific to a particular virus strain or subtype. It is well known that HIV and influenza viruses among many others, quickly escape antibodies. Vaccines depend upon the development of antibodies by the host, and thus, cannot protect efficiently against those viruses which are continually changing their character, such as the influenza virus. Influenza vaccines in particular have to be developed with the strain that is expected to infect in the next year’s cycle. It is well known that this is not a failure-proof strategy for epidemic-causing strains that are novel. AVI BioPharma, Inc., a biopharmaceutical company, engages in the discovery and development of therapeutic products based on antisense and cancer immunotherapy technology. The company's products under various development stages comprise AVI-4658, a Phase I human clinical trial product to restore, prevent, or slow deterioration of muscle function; AVI-5038, a preclinical stage product to skip exon 50 and restore a range of associated mutations; AVI-5126, a Phase II clinical trial product for the treatment of cardiovascular restenosis; and AVI-6002 and AVI-6003, which are in Phase I clinical trials to treat diseases caused by Dengue, Ebola, Marburg, and Junín viruses. It has strategic alliances with Chiron Corporation; Cook Group Incorporated; Ercole Biotech, Inc.; Eleos Inc.; Charley's Fund, Inc.; and the United States Department of Defense. The company was founded in 1980 and is based in Corvallis, Oregon. AVII is already on the run, targeting $1.60 but poised to go a lot higher. This was a $25 stock back in 2000, when flu was still a three letter word. This is not how I would have preferred to get rich off of NNVC. But each passing hour seems to be drawing us closer to a global pandemic and a potential world wide health catastrophe. Look at the time stamp of this Press Release by Ludlow BioVentures. Something wicked this way comes. NEW YORK--Ludlow BioVentures upgrades its research rating on Nanoviricides, Inc. (OTC: NNVC), a development stage company that is creating special purpose nanomaterials for viral therapy, maintains A- rating, and near-term price target of $2.50 per share based on potential 'swine flu' pandemic. Interview pending. Recent announcement of an outbreak of a new strain of the H1N1 swine Influenza should put viral research companies, such as NanoViricieds (NNVC), in play this coming week. NanoViricieds utilizes creative and unique nanomaterials for targeting and destroying viruses. The company's nanoviricide(TM) drug candidates are designed to specifically attack enveloped virus particles and dismantle them, as opposed to vaccines which work to prevent the delivery of the virus payload. This unique approach makes NNVC a interesting play in the field of viral therapy, and may hold some very promising cures to a number of viral infections. To this effect, Ludlow BioVentures is maintaining NNVC rating of A-, but raising its near-term price target to $2.50 to $3.00, with longer-range price target of $5.00 per share. 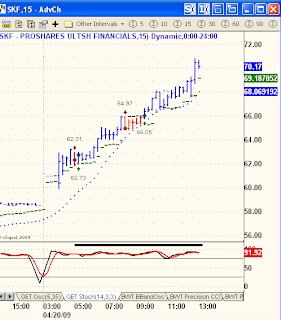 Proprietary to Advanced GET and developed by Tom Joseph, the False Bar Stochastic attempts to devine trending from cyclic price action through a traditional 14-3-3 stochastic oscillator. 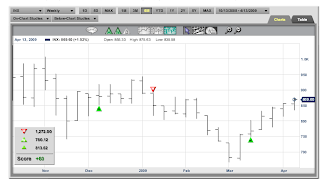 The FBS generates a black horizontal line where it detects a trending market, suggesting that any stochastic-generated signals be ignored under those conditions. 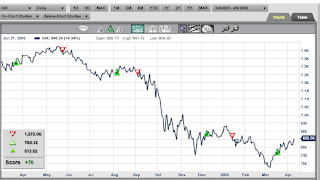 The FBS works on all time frames, One-minute through Weekly, Monthly and Quarterly periods. I've also drawn some trend channels coming down from what appears to be a Wave 2 peak coinciding with the most recent FBS Sell. In fact, all of the FBS Signals appear to coincide with Primary Degree Elliott Waves. My working hypthesis is that the next FBS signal will be a SELL and coincide with the completion of Wave 4 and the beginning of Wave 5 down. The fact is that epidemics and pandemics seem to hit populations during major negative social mood trends. ...when we study pandemics of the Dark Ages or the Spanish influenza epidemic that broke out during the bear market of 1917 (which year also saw intense fighting in World War I and the Communist coup in Russia), there always appears to be a bear market in force, and the extent of the epidemic tends to correlate with the size of the setback in mood. -- Bob Prechter, The Wave Principle of Human Social Behavior, Chapter 18. 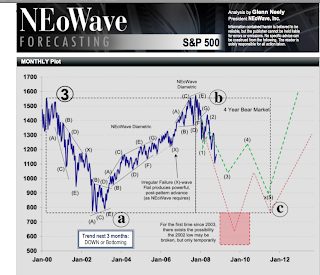 There is an article to the right from Elliott Wave International that is worth reading. It is titled. "Swine Flu and Elliott Wave Analysis" and it's genesis is with the above quote from Robert Prechter's Socionomics book. (Click on "What does a rally really tell you" to access the list of articles including the Swine flu article). Mid-decade there were global alerts for a spreading new flu virus carried by birds. 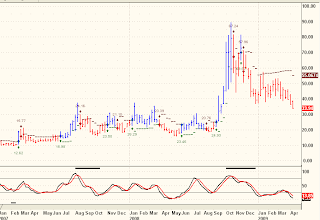 It was this news story that propelled NNVC from 10c to $3.75 in about a six month period. "This is the first time that we've seen an avian strain, two swine strains and a human strain," said Daigle, adding that the virus had influenza strains from European and Asian swine, but not from North American swine. In 11 of 12 reported human cases of swine influenza (H1N1) virus infection in the United States from December 2005 to February 2009, the CDC has documented direct or indirect contact with swine. But the seven known cases of the previously undetected strain in the United States -- five from California and two from Texas -- did not have contact with pigs. The seven people infected have all recovered from the flu. "We have determined that this virus is contagious and is spreading from human to human," the CDC said on its website. "However, at this time, we have not determined how easily the virus spreads between people." Local and state health officials were interviewing not just the people who were infected but the people with whom they had contact, Daigle noted. Officials were looking for the source of the infection, Daigle said, adding that US health officials were due to receive samples from Mexico that would be tested at a lab at the centers based in Atlanta, Georgia. The World Health Organization (WHO) has identified swine influenza as a potential source of a human flu pandemic. Pandemics usually occur every 20 years. "Our experts and others are saying are not saying it's not a matter of whether but when. And we are past due," said Daigle. Swine flu is caused by type A influenza and does not normally infect humans but cases have been reported among people, especially those exposed to pigs, the CDC said. Most outbreaks take place during the late fall and winter months. Swine flu symptoms include fever, lethargy, lack of appetite and coughing. Some people who have contracted the virus have also reported runny nose, sore throat, nausea, vomiting and diarrhea, according to the CDC. Human outbreaks of H1N1 swine influenza virus were recorded in the United States in 1976 and 1988, when two deaths were reported, and in 1986. In 1988, a pregnant woman died after contact with sick pigs, the WHO said. 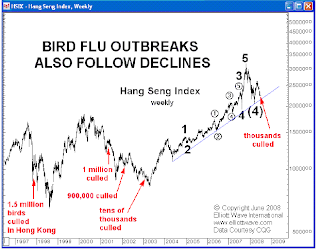 In recent years, the global focus for a pandemic has shifted to the H5N1 bird flu virus, which has spread from poultry to humans, especially in Asia. The Detroit Red Wings eliminated the Columbus Bluejackets in a sweep of their First Round four game series, beating the Bluejackets 6-5, tonight in Columbus. The Red Wings advance to Round Two of the Stanley Cup playoffs against either the Vancouver Canucks or the Anaheim Ducks, depending on the outcome of their respective First Round series. 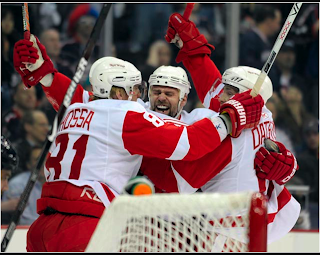 Detroit became the first Stanley Cup Champion in six years to advance in the following year's playoffs to Round Two. Wow, big rally ended up hardly making a dent in the chart. From early November, this index has basically gone nowhere. Much ado about essentially nothing. Find me a chart of a new bull market that started like the chart above and I'll post it. 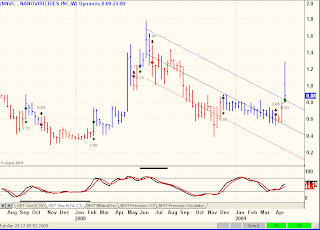 Noteworthy is the trend line coming down from the Wave 2 Top in August, 2008. 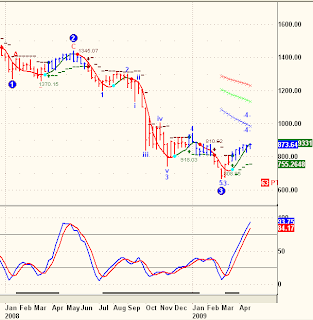 This stopped the Wave 4 rally cold last week at about 1362. It is a powerful resistance line and prices should not exceed it if the analysis on the chart of a Wave 4 turning into Wave 5 is correct. "Exceed" means moves above and stay's above the line. The Nasdaq is set to open up higher today on the strength of Apple's earnings. Expect the line to be tested and be prepared to give it a Pass/Fail grade soon thereafter. Below is a Weekly chart of the Nasdaq 100 index (NDX). I'm posting it because it provides yet another piece of the puzzle, hopefully providing some clarity as to the bigger picture. What strikes me is are the Channel and the False Bar Stochastic. Although there is room for this index to rise, there is a lot more room for it to fall. ............but I keep finding them. WEST HAVEN, Conn., Apr 21, 2009 (BUSINESS WIRE) -- NanoViricides, Inc. (OTC BB: NNVC.OB) (the "Company"), reports that Dr. Vivien Boniuk, Associate Professor of Ophthalmology, Albert Einstein College of Medicine, associated with the North Shore Long Island Jewish Health System (NSLIJ), will be presenting additional results from the animal studies on nanoviricide drug candidates against Epidemic Kerato-Conjunctivitis (EKC). These studies were conducted at the Feinstein Institute for Medical Research of the NSLIJ. Dr. Boniuk will be speaking at the GTC-Bio Conference on Ocular Diseases and Drug Discovery on April 21 in Philadelphia, PA. Both of the nanoviricide drug candidates evaluated in this pilot study were found to be clinically highly effective against EKC caused by an adenovirus in the rabbit animal model. Both nanoviricides significantly reduced conjunctival injection (severe redness of the eye) as well as blepharitis (exudate, swelling, matting of fur). NanoViricides, Inc. has previously announced the preliminary findings of the study as they were received by the Company. In addition to the significant positive clinical findings reported earlier, Dr. Boniuk will also report that the best nanoviricide drug candidate showed excellent long term results. There were no SEI's (Sub-Epithelial Infiltrates) in animals treated with this nanoviricide (0% incidence). In contrast, in vehicle-treated animals, 83% incidence of SEI's was found, and a 100% incidence of SEI's occurred in untreated infected animals. SEI's are caused by local T-cell mediated immune response to the adenovirus, leading to hazy spots in the cornea. Occurrence of SEI's in the human eye can lead to decreased visual acuity for as long as two years. In all the treated as well as untreated infected animals, robust antibody response was observed to occur as measured by antibody titers on day 21. Nanoviricide treatment thus led to both clinical resolution and immune protection against adenovirus. As expected, no antibody response occurred in uninfected animals. Long term reduction of visual acuity (poor vision) in severe cases of EKC in humans is caused by the occurrence of SEI's. Thus, absence of SEI's is an excellent indication of a strong therapeutic effect for EKC-Cide(TM) in human EKC. "These results confirm that our EKC-Cide is likely the best available drug candidate in development against EKC," said Eugene Seymour, MD, MPH, CEO of the Company, adding, "We are now planning to evaluate its effect against herpes virus infection of the external eye." Together, herpesviruses and adenoviruses are the principal causes of serious viral diseases of the external eye. At present, there is no satisfactory treatment for adenoviral keratitis/conjunctivitis. The potential domestic market for an effective drug against all viral infections of the external eye is variously estimated to be from $500M to billions of dollars. In another news, the Company has updated the Product Pipeline page on its website ( http://www.nanoviricides.com/pipeline.html). The Company has also added Prof. Thomas Lentz to the Scientific Advisory Board list on its website ( http://www.nanoviricides.com/lentz.html). Let's not get carried way, not quite yet. What do we glean from this chart? and that it takes 16 wins to capture the Stanley Cup, the Red Wings have 14 more wins to go. Question: Allan, I don't see anything about the Red Wings on the chart. Allan: That's not a question. If this were the start of a vicious new decline, it might look exactly like the chart above. But so would a lot of other things, including a shallow retracement. So let's chill out for now. April 20 (Bloomberg) -- A U.S. Treasury spokesman said there’s no basis to a blog posting that buffeted financial stocks by saying that most of the nation’s largest banks are insolvent. Andrew Williams, a Treasury spokesman, dismissed the report from Hal Turner of North Bergen, New Jersey, “particularly given we don’t have stress test results yet. Does anyone believe that they don't have results, or what they later will call "Preliminary Results" of these stress tests? Or that they will tweak parameters until they get the "results" they want? I can't find the Treasury's denial reflected on that chart, can you? This link and article were posted by Wayne under the Comments of my previous post from Sunday. It is important enough by and through its implications to give it additional exposure advancing it to my front page. The Turner Radio Network has obtained "stress test" results for the top 19 Banks in the USA. When the tests were completed, regulators within the Treasury and inside the Federal Reserve began bickering with each other as to whether or not the test results should be made public. That bickering continues to this very day as evidenced by this "main stream media" report. Three charts, all with the same message. Next up, S&P 500 Weekly analysis chart, same old, same old: In a sideways to upward tilt in a Wave 4 consolidation before next leg down. Each successive week has this chart closer and closer to its breakdown as is best evidenced by the False Bar Stochastic reaching overbought and reversal levels. Finally and especially for all the new readers to this blog, the Weekly S&P analysis is my big picture view of the equity markets. That view is of a multi-year bear market that on occasion, as is now, will pause, rally, consolidate, refresh itself and then dive lower. I would like to catch those turn-downs much more then I care to exploit the rally phases. Although I do utilize models that trend follow and accordingly do follow prices no matter what direction they are going (currently up), the big guns are set on those lucrative, juicy declines. The Weekly charts are my GPS, pointing in the direction of the true trend that will assert itself in a big way when and only when the market decides the time is right. The next big decline will start off as a simple short term reversal in trend. That's why every short term Sell is important, because one of these days, it will be THE one we are looking for. By taking every short term Sell signal as it appears, there will a pretty damn good chance of being Short when the next tsunami into the abyss occurs. Question: What if you are wrong, Allan, and the market is in a major Bull Trend toward new all time highs? Answer: The best, most profitable parts of bull markets come in the middle and end (remember 1995-1999? ), so I'll be late to that party, but will enjoy its fruits, eventually. My charts are dynamic, if they pick up on the bull market thesis, I will become just as adamant on the long side as I am on the short side now. BUT THAT HAS NOT HAPPENED, IN FACT IF ANYTHING, THESE CHARTS ARE CONFIRMING THE BEARISH CASE WITH EACH PASSING WEEK. 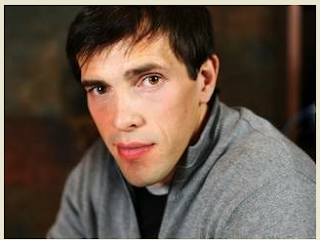 Although he doesn't play ice hockey, there are other similarities and comparisons relevant to Glenn Neely that makes this post a natural follow-up to my ode to Pavel Datsyuk. Neely is one of the most brilliant market observers and analysts of our time. My accolades are not easily earned, but without a doubt Neely's view of the markets he covers, Stocks, Bonds, Gold and Currencies, is probably the most important opinion or analysis a trader need have, second only to your own. Neely and Robert Prechter are almost always joined at the hip by media-derived reviews of current Elliott Wave theorists. Therein lies the rub, for Neely to be relegated to just another Elliott Wave interpretation misses an entire body of work and analysis that this man has generated over the past thirty years. If one were to look at his work, derived in part from his book, Mastering Elliott Wave, but more importantly from his published commentaries to his subscribers, it becomes readily apparent that there is a whole lot more to this analysis then numbers and letters on a chart. From an Elliott Wave perspective, the plotted price activity of a market is the graphical representation of crowd psychology. The Wave Theory describes how local plotted data relates to surrounding data, how data should behave under a multitude of circumstances, when and how psychological trends begin and end, how one psychological environment mandates the unfolding of another and what general shape the price action should exhibig upon completion. In other words, the Elliott Wave Theory organizes the semingly random flow of market price action into identifiable, predictable patterns on the natural progression of crowd psychology. From Mastering Elliott Wave, Chapter 1, "What is Elliott Wave Theory.....Price Patterns of Psychology"; presented at Amazon.com's description of the book. 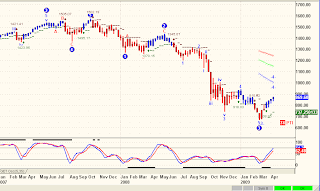 Elliott Wave and NEoWave: How Do They Differ? The NEoWave Trial Service provides a comprehensive sampling of all NEoWave Forecasting and Trading services released over a 2-week period. This is a good deal, it will introduce to an entirely novel and fascinating analysis of major trading markets. For the cost of the commissions on a couple of stock trades, you can feed your head (apologies to Grace Slick) instead of your broker. One more thing. What was Glenn Neely's market opinion at about the same time I had published my Crash Warning post? Patience my friends. Today's final hour bar generated a short-term Buy on BW's trend model. Looks to me like a few more regular trading hours and the FBS is going to be rolling over toward a Sell signal. If it does and if its confirmed by BW, it may represent our first stab at a significant decline. That's two big "ifs," in case anyone is counting. I posted this on my Anti-Cramer blog tonight along with a Market Club video. The S&P is straggling up the lower trend line and will either fall like hell out of the channel or fool us all and run to the upper trend line. All we can do is follow here as there is no high probability trade either way. It happens. An avid reader has pointed out to me that AllAllan has now exceed 500,000 hits since inception. The accolades belong to you, the readers of my blog, for your continued support and interest in my work and observations of the human-economic-psychological conditions of our time. My goals here continue to be to entertain and amuse, while providing market insights that will make everyone better traders/investors, without having to resort to collecting subscriptions to survive, since if my counsel is any good at all, it should be the lone generator of income, with enough left over to cover my time writing. My intention is to make a killing along the way, be it NNVC, or the coming crash, or whatever I come up with next to make a difference in everyone's lives. A real difference, a seven figure difference. Speaking of which, I intend to make The Anti-Cramer site more active, so you might want to check it out on occasion for Triangle-related trades and posts. Again, kudos to all, for bookmarking, reading and supporting these words. The state of being disgruntled, upset; messed up, sloppy; frazzled, incredibly messed up. (1) My girlfriend moved out, my dog bit me and my plants all died. I am too scragged to move. (2) I got caught in a rainstorm the other day, and I looked like a scragged little puppy. I can tell my the tenor of your Comments that a lot of folks are having trouble with this market. When this rally ends (and there are now five countable waves up) there will be a whopper of a decline. That's where the easy money will be made. Not now, not in the throws of Scraggle Toothed markets like today. Between now and the awarding of the 2009 Stanley Cup. The playoffs start Wednesday night. Thursday for the Red Wings. If you couldn't tell by the time stamp of my previous post, I was up very late Saturday. All was not lost as besides the beautiful song by Fink, I came across a fascinating piece by Tyler Durdan of Zero Hedge. It explains in technical detail the anatomy of recent market meltdowns and why another one is in our immediate future. One characteristic of what I am labeling a "Wave 4" rally over the past month is that so much of the market movement from day to day has been taking place in aftermarket and Globex trading. Huge morning gaps make up most of the price movement, with little if any follow through during regular market trading. This article addresses the dynamics behind this kind of market movement, with a foreboding hypothesis as to where it is leading prices into the not-to-distant future. In this light, the program trading spike over the past week could be perceived as much more sinister. For conspiracy lovers, long searching for any circumstantial evidence to catch the mysterious "plunge protection team" in action, you should look no further than this. Following on the circumstantial evidence track, as Zero Hedge pointed out previously, over the past month, the Volume Weighted Average Price of the SPY index indicates that the bulk of the upswing has been done through low volume buying on the margin and from overnight gaps in afterhours market trading. The VWAP of the SPY through yesterday indicated that the real price of the S&P 500 would be roughly 60 points lower, or about 782, if the low volume marginal transactions had been netted out. What retail investors fail to acknowledge is that the quants close out a majority of their ultra-short term positions at the end of each trading day, meaning that the vanilla money is stuck as a hot potato bagholder to what can only be classified as an unprecedented ponzi scheme. As the overall market volume is substantially lower now than it has been in the recent past, this strategy has in fact been working and will likely continue to do so... until it fails and we witness a repeat of the August 2007 quant failure events... at which point the market, just like Madoff, will become the emperor revealing its utter lack of clothing. When the quant deleveraging finally catches up with the market, the consequences will likely be unprecedented, with dramatic dislocations leading the market both higher and lower on record volatility. Furthermore, high convexity names such as double and triple negative ETFs, which are massively disbalanced with regard to underlying values after recent trading patterns, will see shifts which will make the November SRS jump to $250 seem like child's play. At the end of the day, despite the pronouncements by the administration and more and more sell-side analysts that the market is merely chasing the rebound in fundamentals in what has all of a sudden become a V-shaped recovery, the "rally" could simply be explained by technical factor driven capital-liquidity aberrations, which will continue at most for mere weeks if not days. So when will all this occur? The quant trader I spoke to would not commit himself to any specific time frame but noted that a date as early as next Monday could be a veritable D-day. The solace taken in all this, the dire prognostications by Durden in his article, is that whatever the outcome, my tools described in great detail in Weekly Analytics, should capture most if not all of the ensuing price volatility. Cumulative gains = 520 pts. 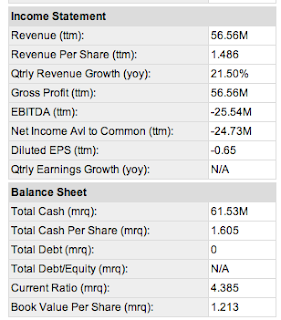 = $26,000 per single e-mini S&P contract = 520% per $5K margin. This is a very basic, objective, inexpensive (Market Club is a bargain for what you get) way to follow trends across a wide array of tradables. If you have been with me for awhile, you know that I use Market Club along with other more sophisticated (read: expensive, i.e. Advanced GET and Blue Wave) analytic tools, as well as subscriptions to Glenn Neely and Robert Prechter, the two preeminent pattern recognition analysts of our time. Rather then go into a litany of why all of the above works for me, the trades posted above are derived from a simple weekly breakout pattern embedded in Market Club's chart trading package. My point is you don't need rocket science to compete in the markets. So let's distinguish from the outset that winning trades and profitability are distinct from intellectual and more subjective forecasts based on theory and crowd psychology. The former is a necessity, you must make money to remain in this arena. The latter is a luxury, we want to understand why the markets are making directional moves, but understanding the why is not essential in order to profit from those directional moves. 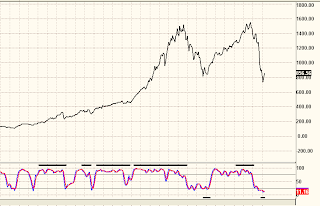 The only indicator appearing on this Monthly chart is a 30-year False Bar Stochastic. The this entire period the FBS has been on the correct directional side of the market. The black horizontal lines indicate that a trend is in place. After being correctly long from 1981 through 2000, the FBS is currently only in it's second Sell trend of the entire period. This is a partial explanation as to why my bias has been to the short side. But it doesn't tell all. There is only one conclusion: This pattern is only a few bars (weeks) away from a major Sell signal, as per the Sell generated in the 2nd quarter of 2008, resulting in a 35% decline in the index. 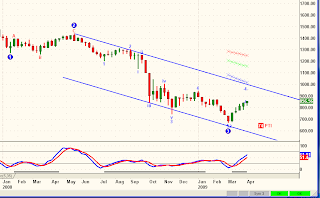 What sayeth Elliott Wave (as per Advanced GET, my EW software)? The trend line coming down off of the Wave 2 top, about one year ago and signalled by the FBS, is at about 1000 for this coming week and dropping about 25 points per week. In a perfect world, these indicators a suggesting that in about one month and about 25-50 points higher in the S&P, this rally will end and dramatic market decline will begin. Weekly trade signals for Blue Wave netted 344 points for the same market and same time period as Market Club's trade triangles above. Not as much, but still a very respectable return. Finally, my most complicated chart of the day. 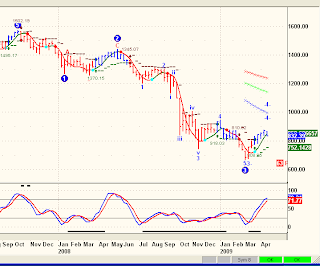 It's a 60-minute EW chart with BW's trend along with a Advanced GET's "Make or Break" indicator. This is the blue horizontal lines that appear at what Advanced GET has computed to be Fiboancci-based resistance areas. The theory here is that these areas are natural resisitance areas where prices will either reverse or break through and accelerate. The first MOB stopped the rally dead in its tracks during the first week in April. The second MOB is appearing now, at this time and at these levels. 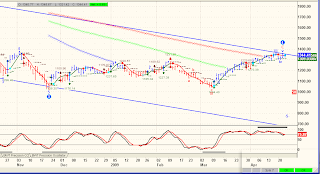 The stop-reverse Short level for BW as of the first hour of trading Monday is at 848.06. You can see it highlighted on the right side of the chart. That's the level where BW would flip Short, closing out it's Long position taken April 8th at 823.82. Even if that occurs, BW will have locked in a 25 point win on this trade. That's about it for this Weekly Analytics post. Trading can be as easy or as complicated as you care to make it. Some tools and analysts are better then others and I hope to have highlighted my ideas and preferences for what works for me in the studies above. There is no perma-Bear or perma-Bull or perma-Anything about the way I look at the markets. Labelling me or anyone on the basis of any particular set of posts or blogs or charts is a shallow and deceptive practice. As I have tried to set out in this blog, there is an analytical reason and purpose behind all that I write and opine about. Find something that works....................then use it.